A May 18, 2018, OSHA proposed rule would reinstate the employer duty to ensure that a crane operator is qualified to safely operate equipment. OSHA says the rule will increase safety at America’s construction sites and provide long-term clarity regarding crane operator certification requirements. The proposed rule would expand the categories of certifications for crane operators to ensure more operators are able to meet the requirements. 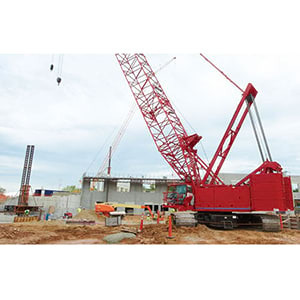 The rule discontinues a 2010 requirement that said crane operator certification must include the crane lifting capacity for which the operator is certified. This requirement never went into effect. OSHA will accept comments on the proposed rule at the Federal eRulemaking Portal until June 20, 2018. OSHA recently published a related final rule to extend the operator certification compliance date until November 10, 2018. The action gives the Agency more time to complete this rulemaking and to address stakeholder concerns related to the Cranes and Derricks in Construction standard. J. J. Keller's Cranes and Derricks for Construction - Online Training teaches construction workers how to work safely on/around cranes and derricks.